Huge truck up close. Ted. I had my heart set on going to see the worlds largest open-pit mine. It’s not hard to visit, in fact the Chuquicamata Copper Mine runs a free 3 hour-long tour, and this is a bus based tour that actually drives down a short way into the mine itself! I had seen some large mines before, there is a large copper mine near Salt Lake City in Utah, USA that we loved, and we got to see a huge open coal mine on a trip in South Africa so we had a fair idea of what to expect, but the sheer scale of what this mine means is mind-boggling. There are 16,000 people employed at the mine. That is an incredible number of people. One of my previous employers, Guinness, employed 10,000 people back when things were done more manually, and they provided banks, health centers, social clubs, a post office, housing and even a sports club and a swimming pool. 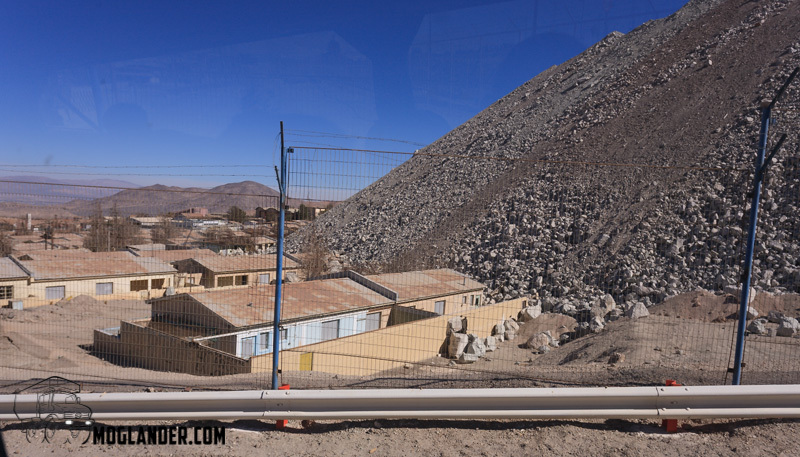 I always thought that was good, but the Calama mine actually built a whole town. 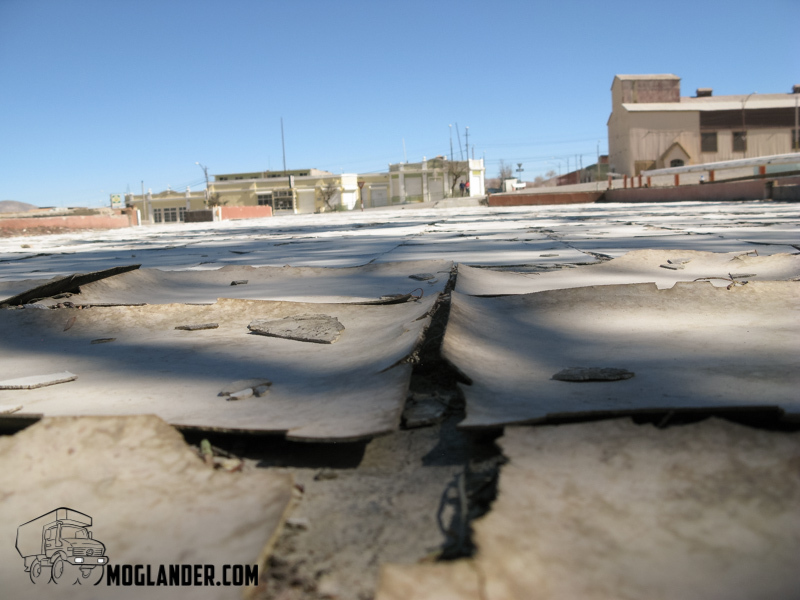 The town of Chuquicamata is now a ghost town because for environmental concerns they moved everyone to the nearby town of Calama. The old town is one of the stops on the tour, and here they explained to us how the mine works, and from old photo’s we could see the town at its best and in full swing, but now its simply abandoned! The hospital in its day was the most advanced in South America. 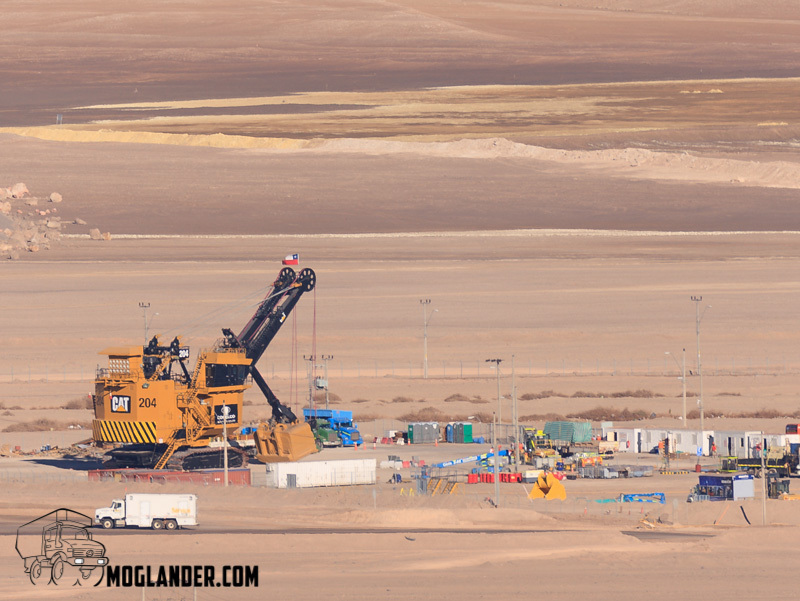 Many workers did not wish to leave this mining town, and when we asked why, it seems they were living rent free, and with free water (a big thing in the Atacama). The decay in the ghost town is everywhere. Some of the old town covered in waste material. now, about 20% of the town has been buried beneath the waste from the mine! 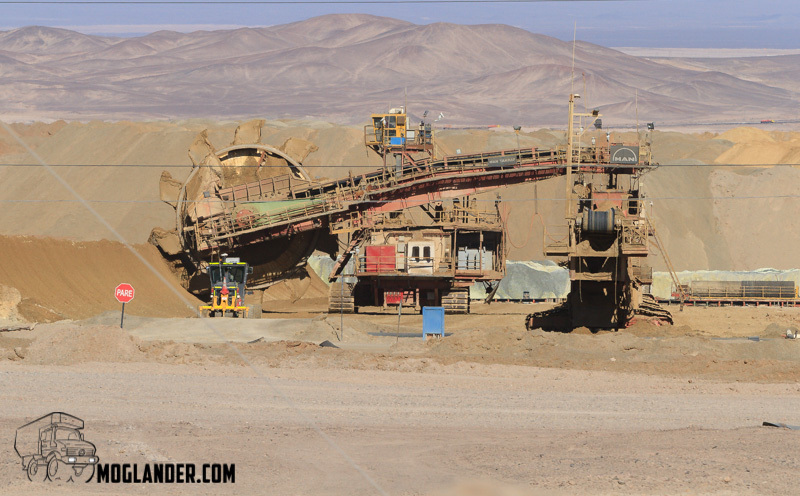 There are a number of large machines at work in the mine, some of the largest in the world. 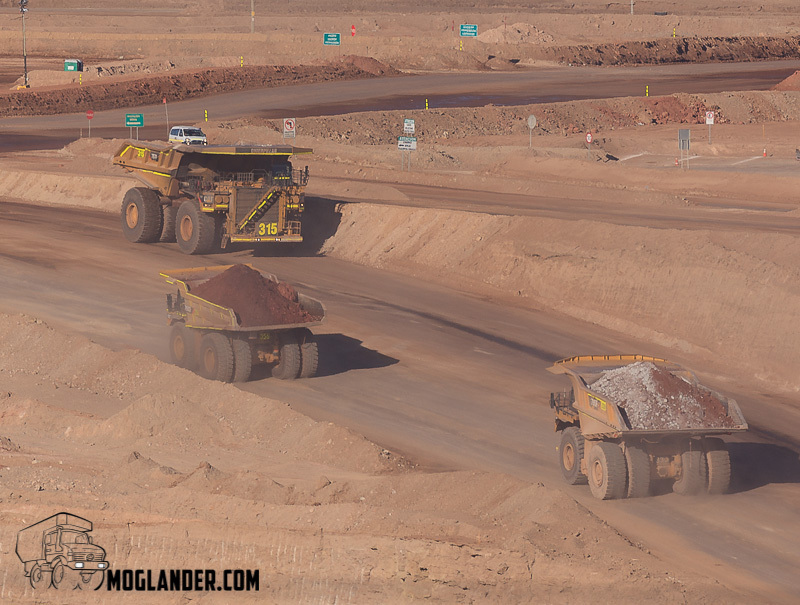 The ones that really catch your eye are the mining trucks, huge machines that can transport hundreds of tons of material up 10% and steeper grades all day every day. 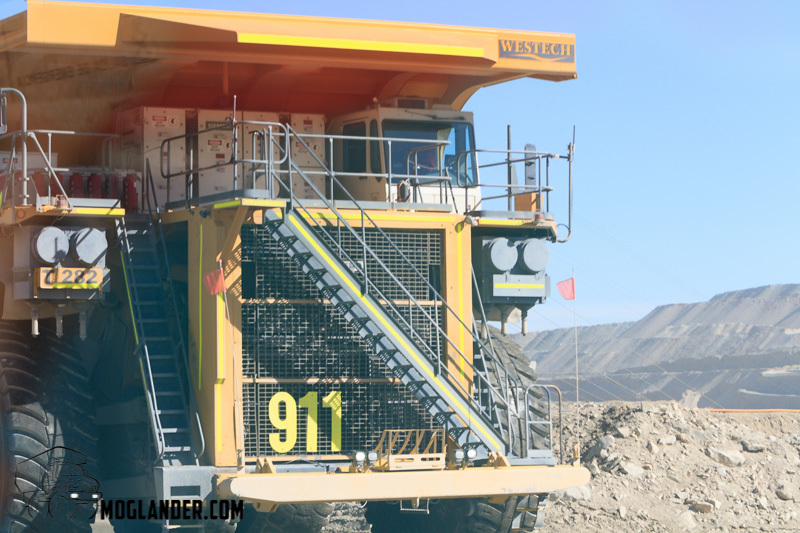 These machines are enormous, with up to 17 steps to get from the ground to the drivers cabin. Since we just have 2 steps on the Mog, we start to feel pretty small. 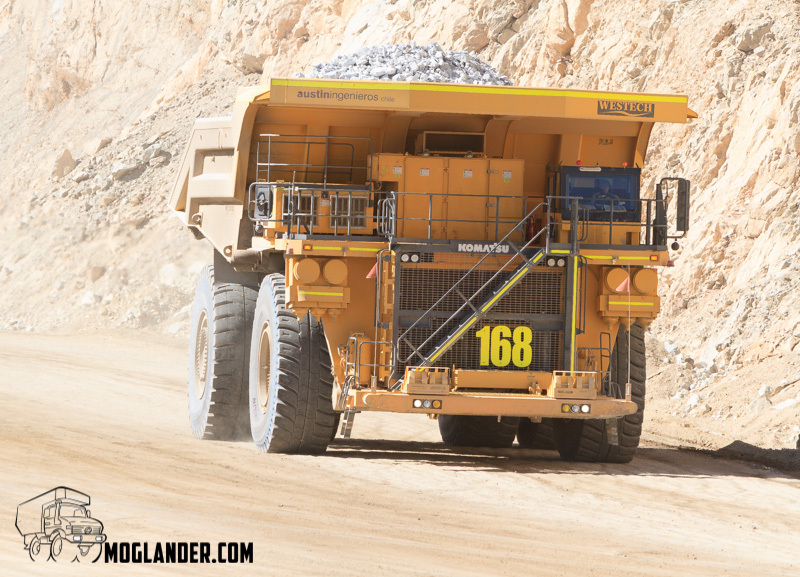 The largest trucks that are working in the mine carry 400 tons of material at a time. That is more than 10 large road going trucks! These trucks work 24 hours per day, 7 days per week and are operated by both men and women. Women drivers are very popular due to the fact that they take a lot more care of the trucks than the men do ! hmmm. There are 91 of these trucks working, and as many loaders, graders, bulldozers as you could shake a stick at. Certainly more than I had time to point a camera at! 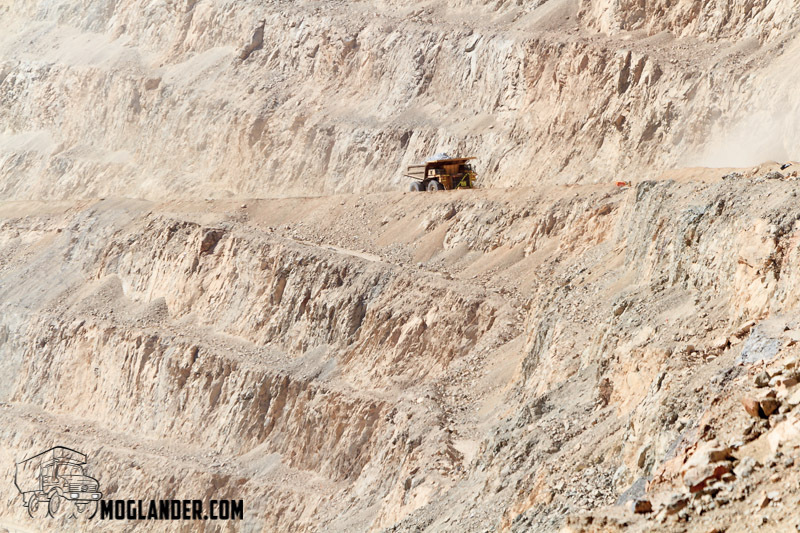 It takes a loaded truck one hour to get from the bottom of the mine to the top! It’s a kilometer deep and 3 kilometers wide. That is still one of the huge trucks, just far away. ted. 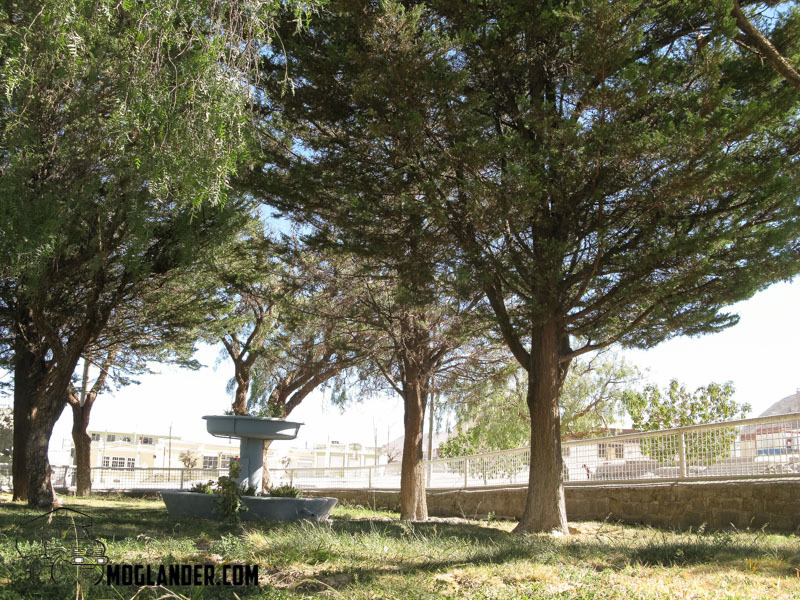 The town of Calama surprised us, it has a shopping mall that made us feel we had landed back on earth after having been on the moon for a few months. Great town to get the larder re-stocked. We even managed a few packets of rashers!